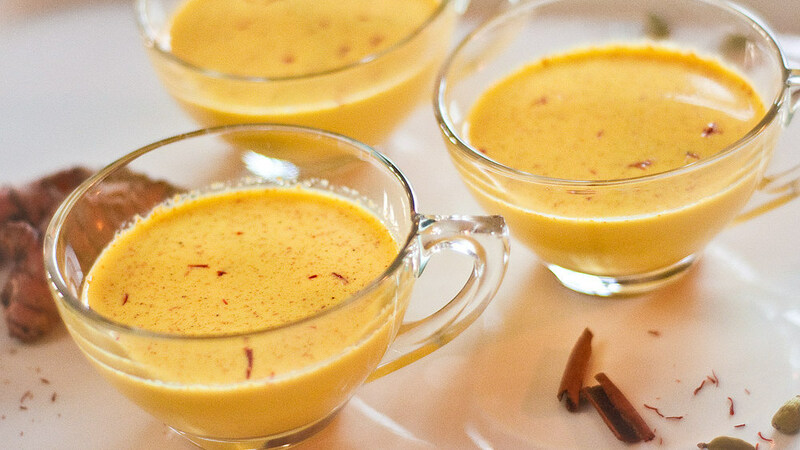 Golden milk is a remarkable part of the ancient Indian medicine. It is believed that it was kept as a secret for centuries. According to the Indian medicine, golden milk and golden color itself are a symbol of health and healing power. Let water and turmeric cook for 6-8 minutes. Add milk and almond oil. Let the mixture cook until it boils. After reaching the boiling point, immediately take the milk aside. Add the honey after it cools down, and drink it warm. Indian medicine recommends drinking golden milk in treating problems with bones, joints, immune system, arthritis and many other diseases. There are no side effects and you can consume golden milk whenever you need it. It is good to drink a cup of golden milk in he morning since it provides energy throughout the whole day.